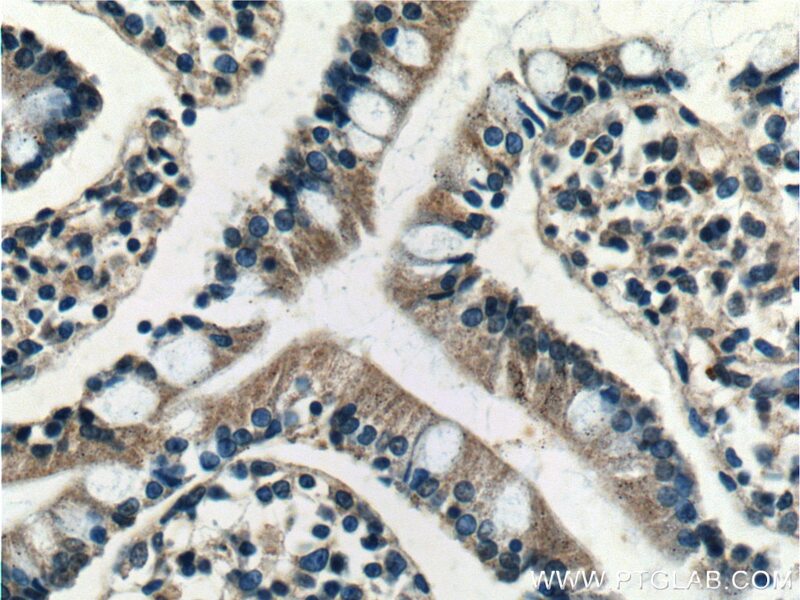 Immunohistochemical analysis of paraffin-embedded human small intestine tissue slide using 22339-1-AP( BTG2 Antibody) at dilution of 1:200 (under 10x lens). 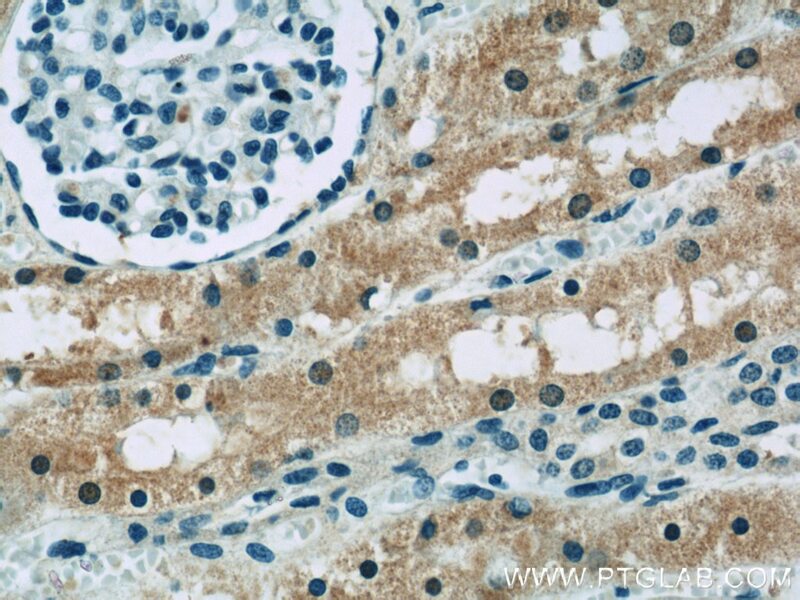 Immunohistochemical analysis of paraffin-embedded human small intestine tissue slide using 22339-1-AP( BTG2 Antibody) at dilution of 1:200 (under 40x lens). 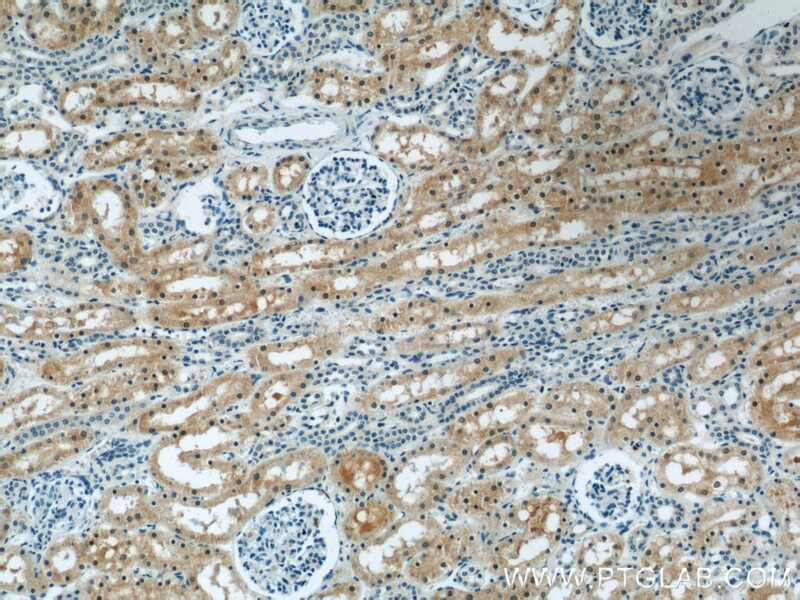 Protein BTG2, the anti-proliferative human homolog of murine Pc3/Tis21, belongs to the BTG/Tob family. 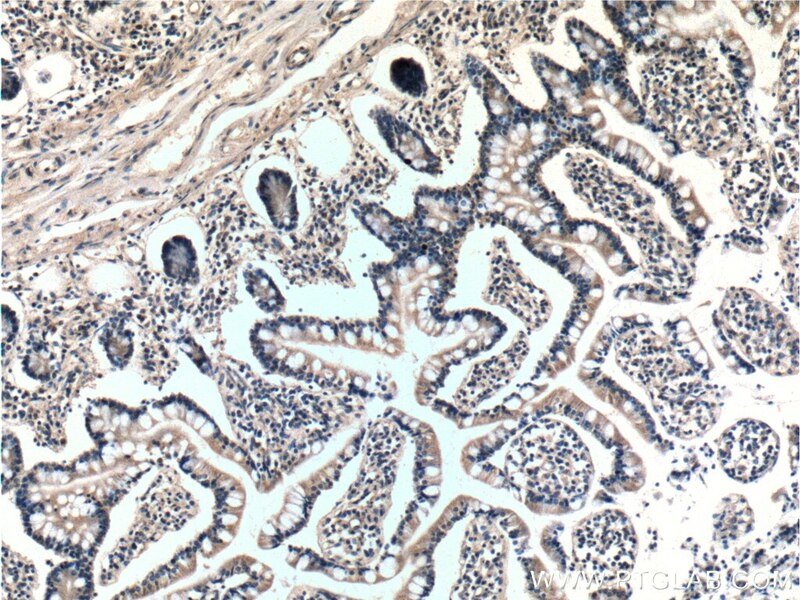 This family has structurally related proteins that appear to have anti-proliferative properties. It has been demonstrated that BTG2 is p53-inducible and is involved in cell cycle control and cellular response to DNA damage (PMID: 8944033). As a transcriptional co-regulator, BTG2 has been shown to interact with CAF1 and POP2, and works as a co-activator of ERa-mediated transcription via a CCR4-like complex (PMID: 18974182). BTG2 Is Down-Regulated and Inhibits Cancer Stem Cell-Like Features of Side Population Cells in Hepatocellular Carcinoma.